Organizing with rubber bands is something that is easy to do, and super affordable. I can remember going to the store to buy a rubber band ball, I loved seeing hundreds of rubber bands all joined together to make a big ball! Now, you will have clever ways to utilize those rubber bands in your daily life! Be prepared to be amazed at all the clever ways listed below! I know these tips have come in handy many times in my life! Plus check out these other rubber band hacks to save the day, when you are in a bind. If you have a bunch of colored pencils, crayons or pens that are stuffed in a drawer? Bundle them up and secure them with a rubber band. This will help limit the clutter in your drawers! This also works great for other smaller items that you can bundle together to save space in your drawers. I remember when I was in school I would get loose pieces of paper that I would toss in my notebook for that class. As I would put the notebook in my bag those papers would fall out, leaving me less than organized. When you have notes and papers stuffed into a notepad, just wrap a rubber band around the notepad to secure all the loose papers to stay inside. If you have items in your closet or storage area that the lids for containers do not fit securely, wrap a rubber band or two around it. This will help keep the contents inside the box or container! 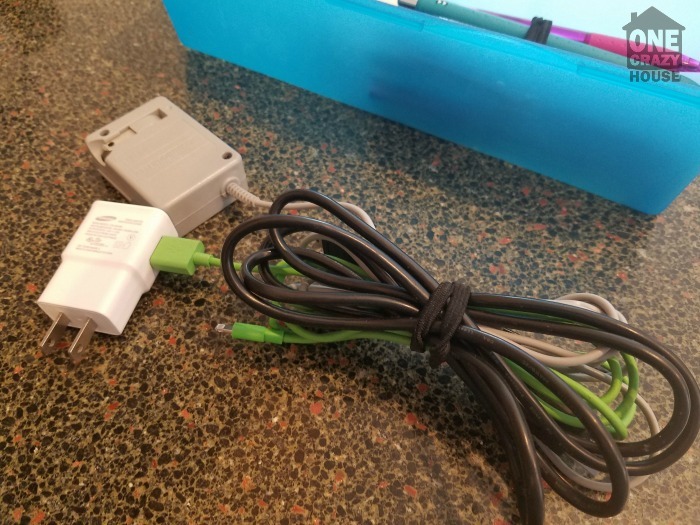 I love grabbing my power cords and winding them up, and then securing them with a rubber band. This is a great way to keep cords from becoming a tangled mess. This is especially helpful with computer cords and the area where your TV, DVD player, and such are all plugged in. Clean up the chargers in the catch all drawer too. I usually keep them in a plastic shoe container in the storage closet. Use a label maker or tape to create flag labels to easily identify what the cords are for. You spend all this time organizing your closet, and hanging up clothes, only to have blouses slip off hangers. Wind a rubber band at the tip of your clothes hangers, and it will keep it from slipping off. Keeping your closet floor nice and clean. If you wear leggings, you know that they can add up quick, and a great way to save some space is to roll them up tight, and then secure with a rubber band. They will fit great in your drawer and save some space! 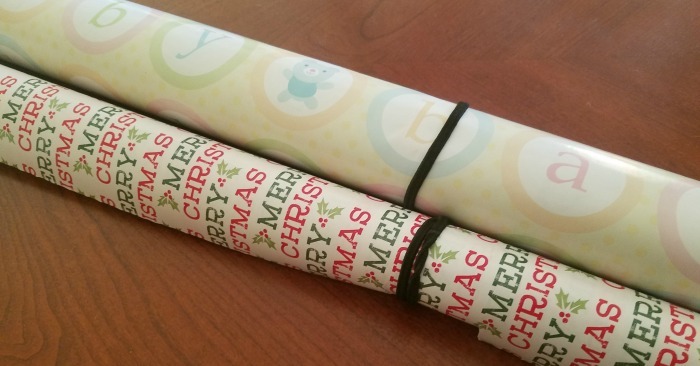 I take a big rubber band and wrap it around my wrapping paper to keep it from unrolling. 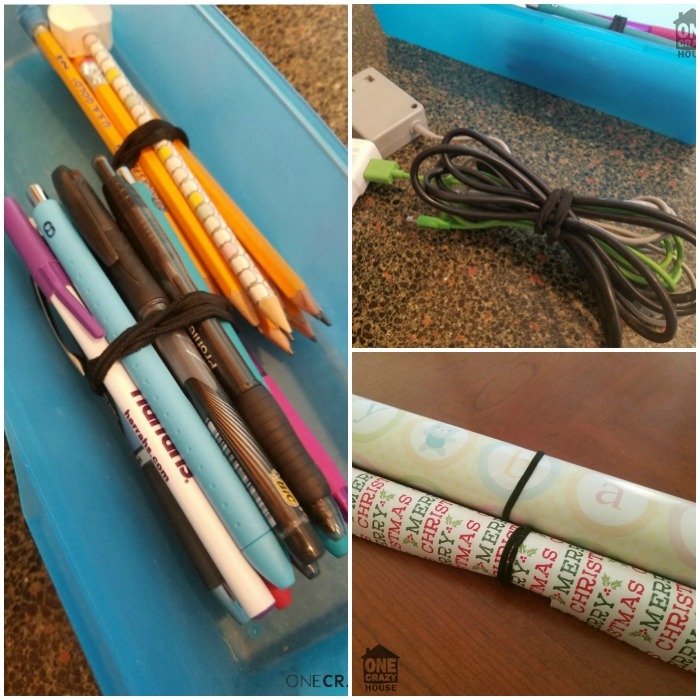 I also will wrap a rubber band around multiple rolls so they are securely wrapped together, and place them in my closet. This is a great way to store them, and keep them from falling one at a time on the floor making a mess. If you love to craft and have an abundance of ribbon on hand, try organizing with rubber bands. Wrap them around to secure the ribbon onto the spool it came on. This will help prevent it from unrolling, which can be a big mess. Then you can store in a drawer out of the way, until you are ready to use it. In order to keep your bobbins and spools of thread together, simply slide one end of the rubber band through the bobbin hole, and loop it through the other end. This holds the bobbin, and then wrap the loop end of rubber band with the bobbin on it, around the spool. It will keep them secure together, so when you need to use that color you are ready! If you are looking for a way to organize your broom and mop, grab a command strip and rubber bands. Simply place the command strip on the wall where you want, and hang a rubber band off the hook. Secure the rubber band around the handle of the broom or mop, and it will hold it in place on the hook! Place your broom in the pantry, closet, or behind a door. 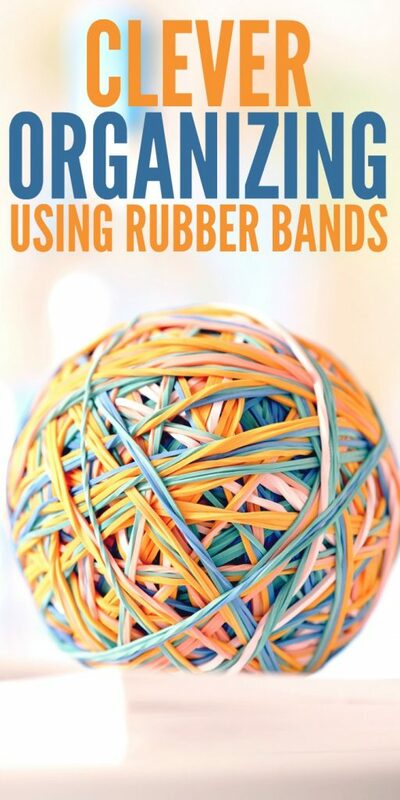 Rubber bands are so affordable and they work great because they are so versatile! 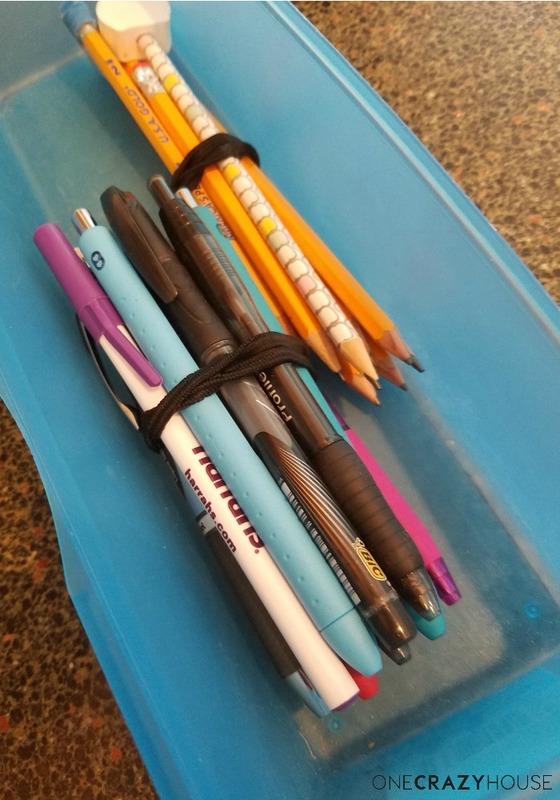 These tips and tricks will help you stay organized using a rubber band!